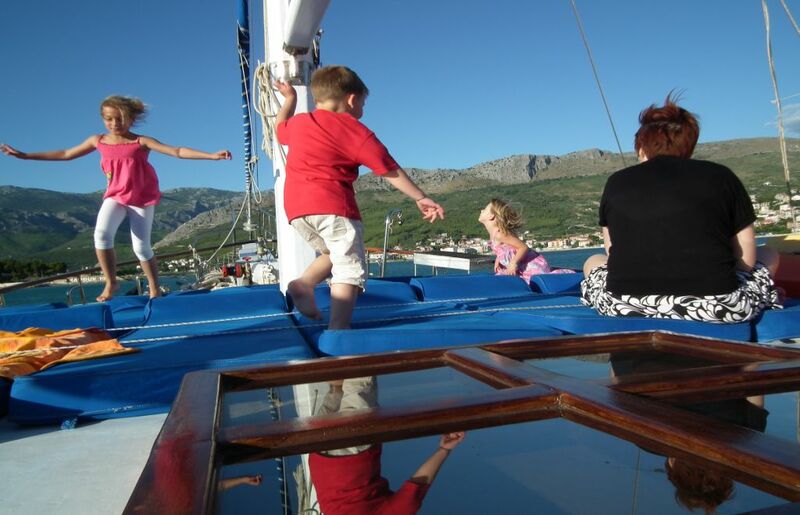 If you want to cruise Croatia with your group that includes members of three different generations (grandparents, parents, and children), you should approach it in a way that it is safe for small kids, fun for teenagers, beautiful for their parents, and interesting for seniors. The itinerary should not be one hundred percent fixed and set in stone. It should be short and flexible, a combination of beautiful islands, nice towns, and interesting activities. It should also include a lot of different beaches and beautiful spots that are as perfect for seniors as for children. 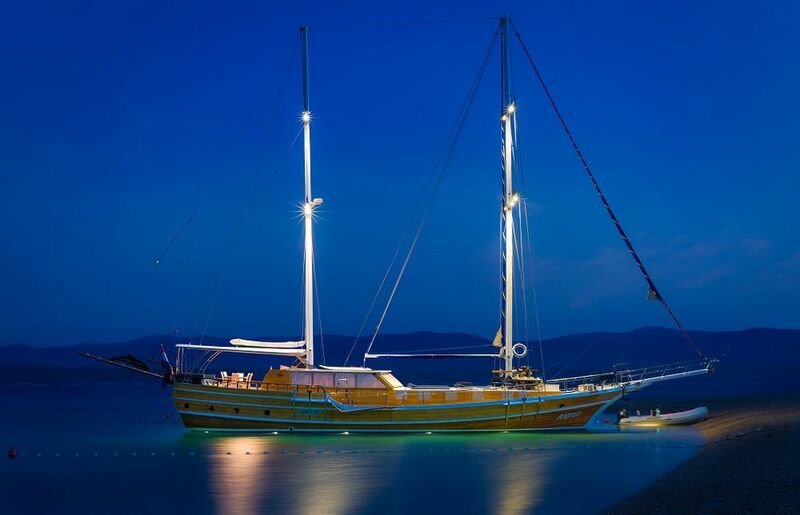 Gulet should be larger, safe for small kids and provide the seniors with enough space to distance themselves a bit when they need time to rest and relax. The crew should be young, yet professional and should know how to handle kids and take care of seniors and needs of the whole group. 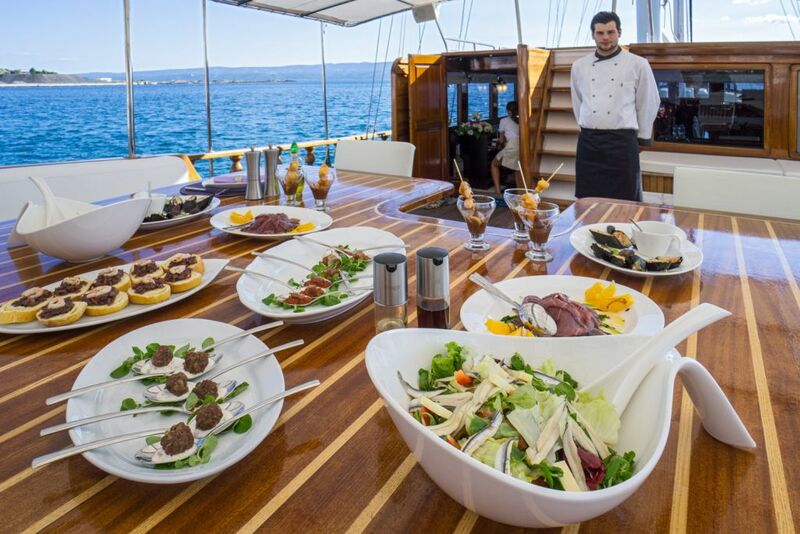 Food and drinks are a very important part of your cruise. We recommend you to book full board (breakfast, lunch, dinner). This will be the easiest option. Note your food preferences in advance. Chef has to prepare easy meals for small children and special courses for adults. 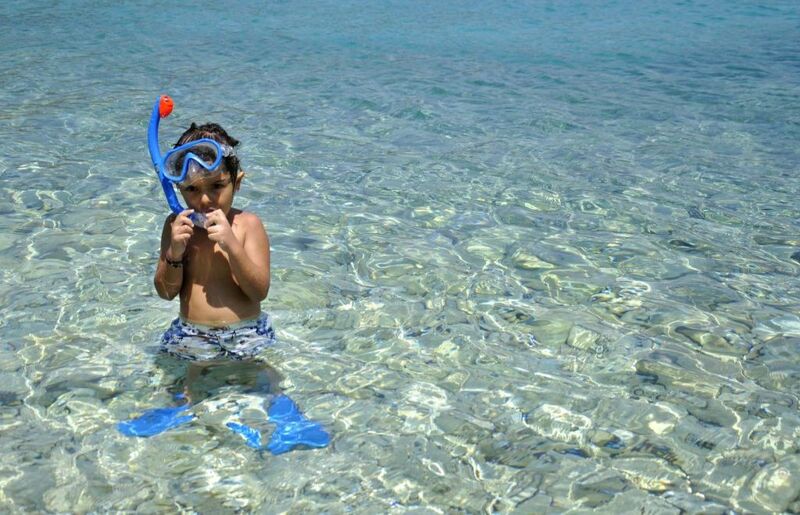 On Croatian gulet cruise, there is a lot of possibilities for small children to have fun in the sea, while teenagers can enjoy swimming, canoeing, snorkeling and other water sports. There are a lot of amazing places to visit, picturesque sights to see and beautiful coastal cities and towns to explore every day of your gulet cruise. 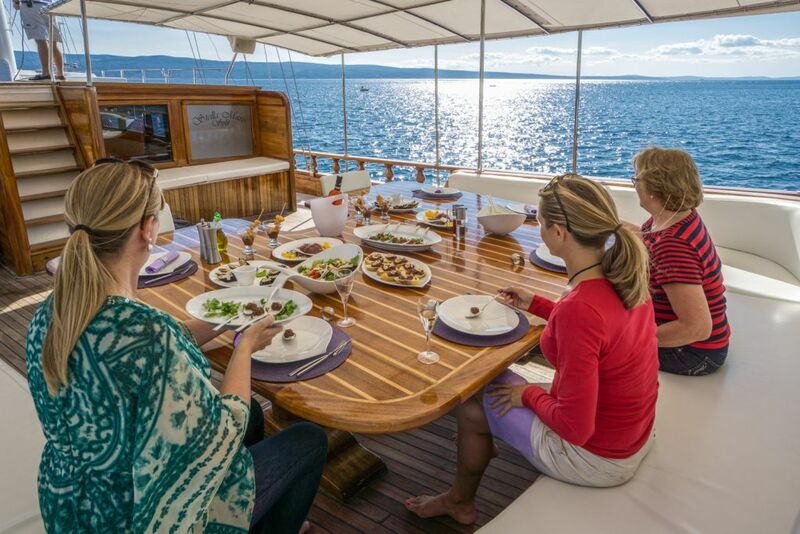 Spend the nights anchored in a bay or let the crew take you ashore with a dinghy. 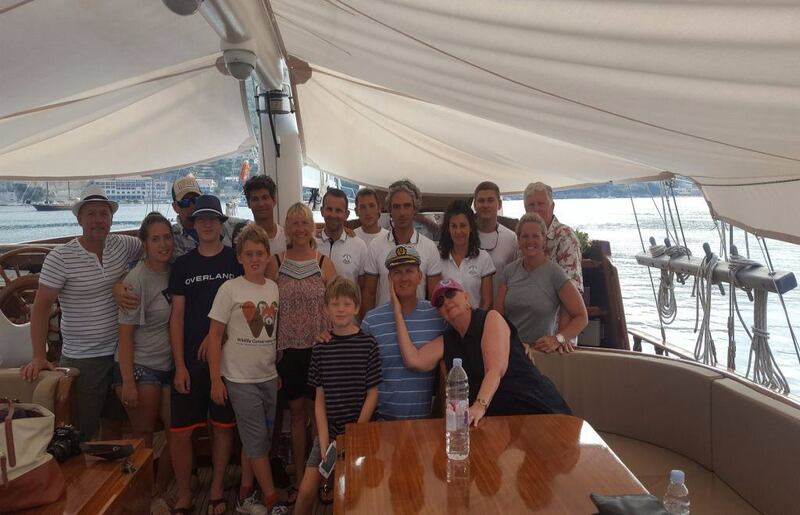 This way some members of your group can stay on board and relax, while others can leave the gulet and explore the surrounding places. Most of the time our mixed groups were the happiest when all members of the group had enough space and they did not get in each other’s way, when the route was interesting and exciting for all of them, and when they had the possibility to organize themselves. Flexibility and variety of choices are the key elements here. Members of the group are not stuck with each other. This means that some can freely leave the gulet while others can stay aboard, it depends on each individual in the group.